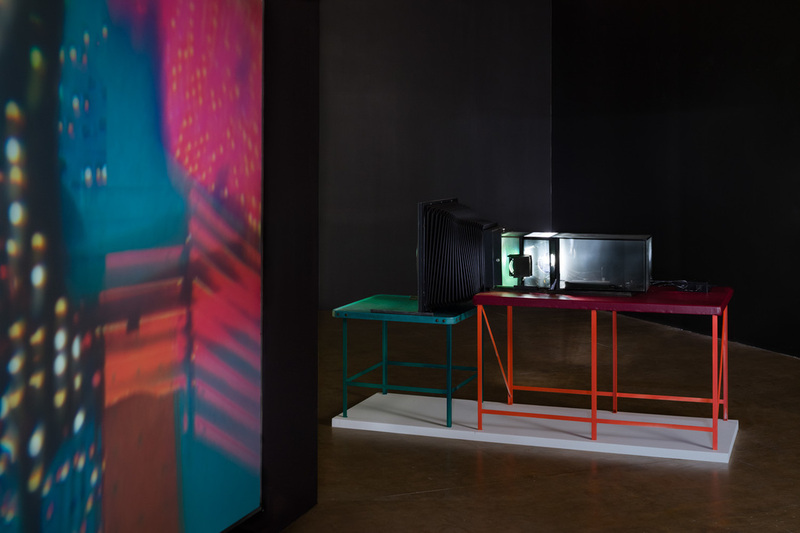 In his current exhibition, “Projectors,” Alex Hubbard synthesizes the aesthetic and conceptual themes that have informed his work in two films: Projector 1 and Projector 2, both 2019, recall Stan Brakhage’s hand-painted moving images and are screened from projectors built by Hubbard. 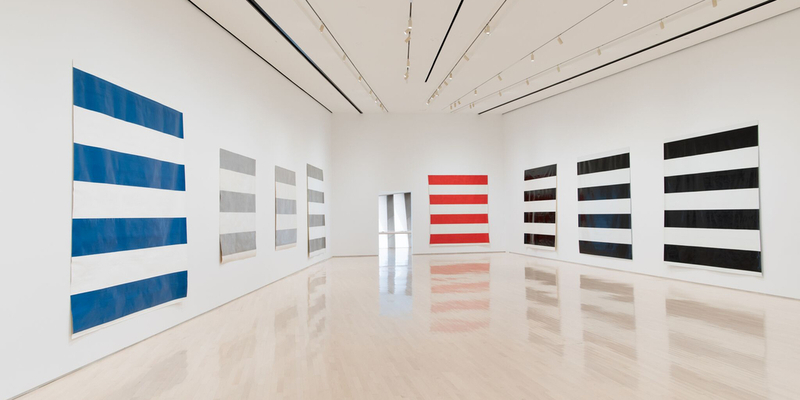 Ann Greene Kelly toys with the tradition of the ready-made by melding everyday objects with plaster, stone, and other traditional sculptural materials, lending the quotidian an intimate and idiosyncratic edge. 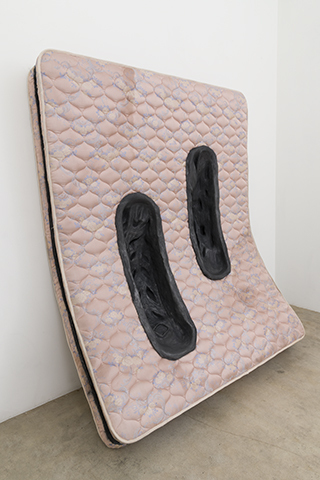 In her first solo exhibition at Michael Benevento, “For a Mended Tread,” the artist focuses her work on mattresses and tires, two man-made items designed to facilitate two of our most important activities—sleep and transportation. 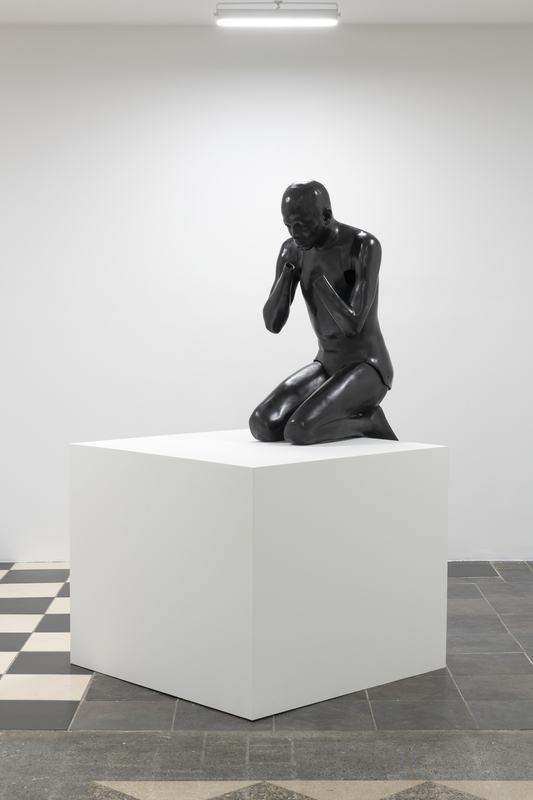 In Nicole Miller’s exhibition “For Now,” three works form a meditation on race and identity that subtly prods the notion of a fixed or true self. 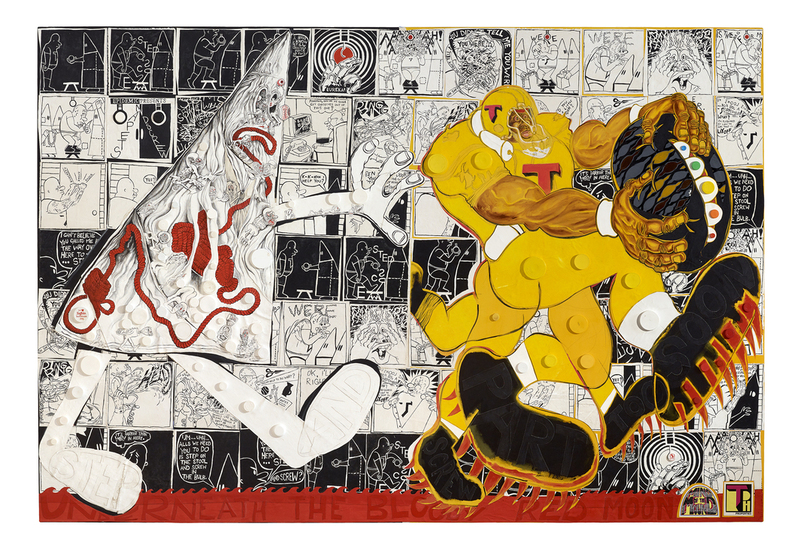 For his first exhibition at Detroit’s What Pipeline, Michael E. Smith explores themes of mortality and consumption with elegant economy. 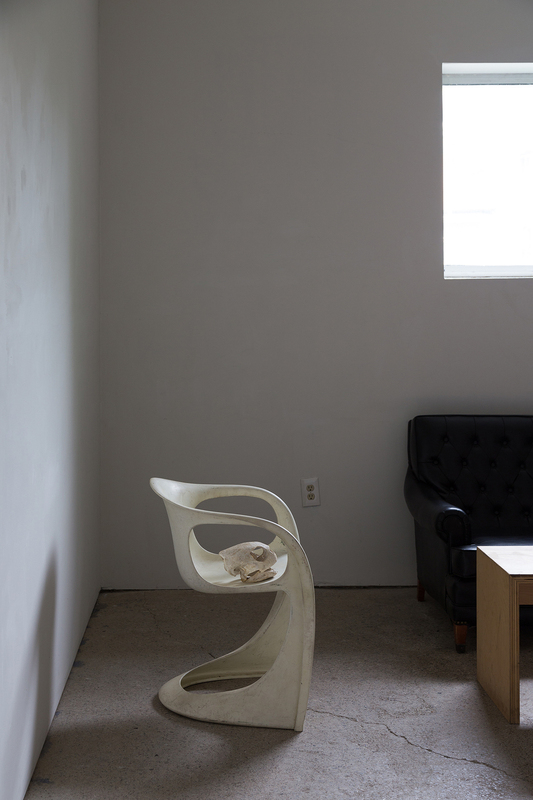 The show comprises two works (both Untitled, 2018): a camcorder with a small potato stuck in its lens, resting on the floor of the gallery’s main space, and a sea turtle skull seated on a scuffed white plastic lawn chair, stationed in the small back room.